If you are not registered on some of our web pages (www.skiper.sk, eurocup.skiper.sk, csi.skiper.sk, sintavacup.skiper.sk or slovakiaopen.skiper.sk) , click on link Sign Up (right top corner). If you are registered, go to Step 4. Fill data about handler: name, surname, e-mail, password and password confirmation. Then choose no of dogs, which you want to register with the handler. It is possible register 6 dogs for one handelr. 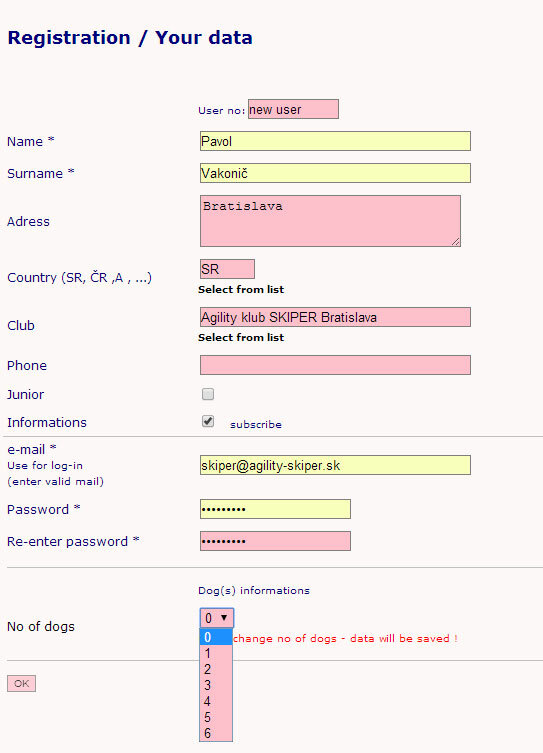 If you change no of dogs, system save formular, you will be inform if some fields are required. 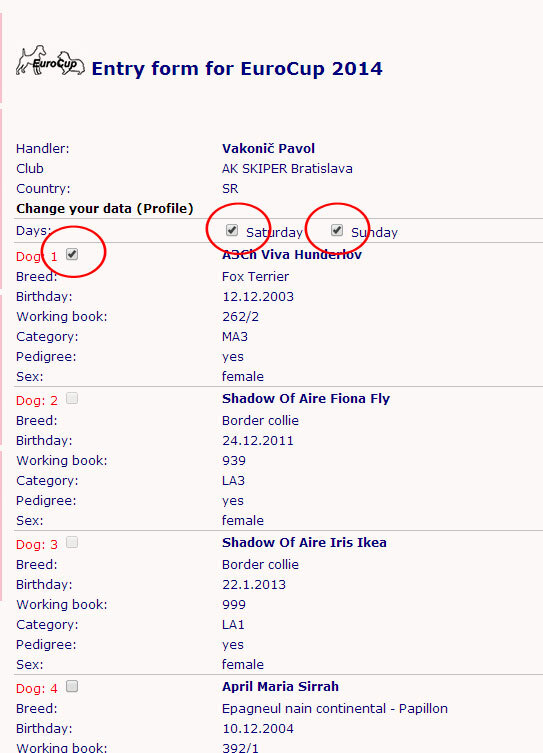 Fill data about dog (dogs), name, breed, category, date of birth and number of working book. It's not possible send application without this data. After this registration you are sign up on our web page and you can continue with Step 5. 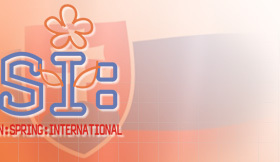 If you are registered on some of our domains, log on - top rigth corner, login name is your e-mail. If you forgot your password, click here, enter your mail, we send your password immediately. After successfully login, you can see your name in header. 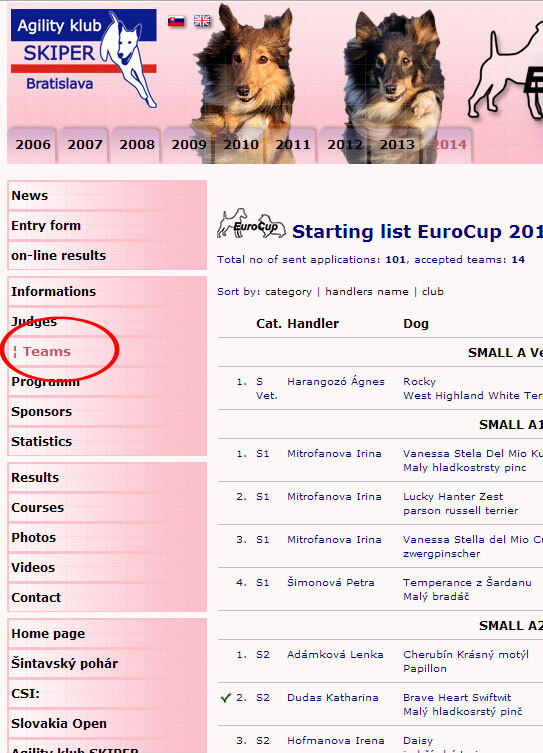 Click on Entry form in menu, you can see data about you and your dogs. 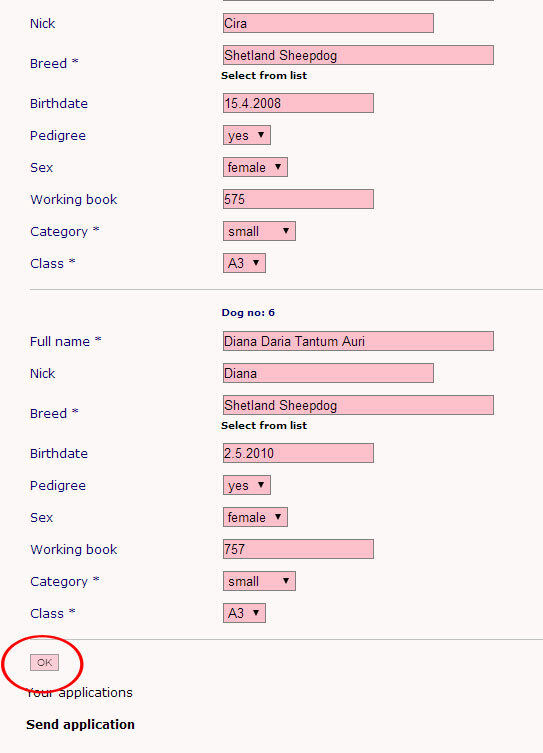 If some check box is disabled, you are still registered with this dog or some data is required. You can check your application in the list of competitors. If you have some troubles, contact us via e-mail.